1) The former President of Mexico took a $100 million bribe. 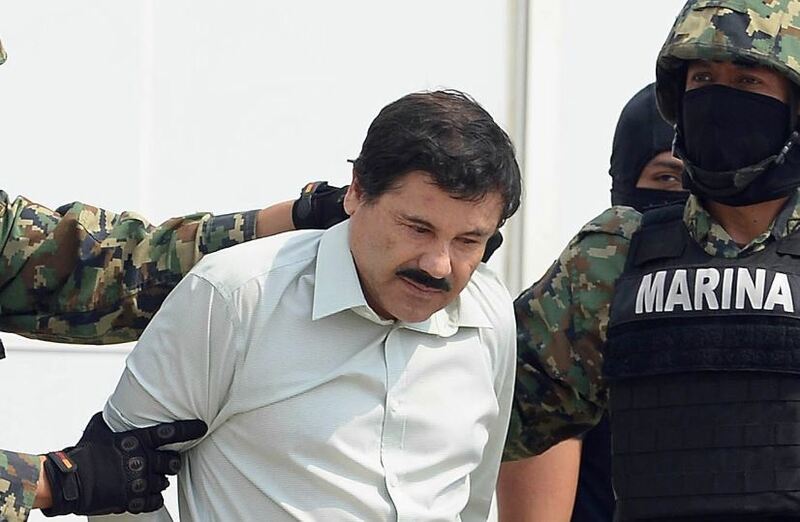 According to testimony on Tuesday from Alex Cifuentes Villa, a Colombian drug lord who worked with the Sinaloa cartel from 2007 to 2013, El Chapo offered former Mexican Preisdent Enrique Pena Nieto a $100 million bribe… A bribe that Enrique allegedly ACCEPTED. The politician allegedly reached out to El Chapo's people shortly after he was elected President in 2012 offering to call-off a nationwide manhunt for the druglord and his associates in exchange for a $250 million bribe. El Chapo allegedly got Enrique to accept $100 million. The same witness has previously claimed that Enrique's Presidential predecessor, Felipe Calderon, took an equally-large bribe from the rival Beltran-Leyva cartel. 2) Alex Cifuentes Villa also testified that on a number of occasions, El Chapo's cartel paid Mexican federal police tens of millions of dollars to go after top associates of the Beltran-Leyva rival cartel. A different witness testified that they paid the head of Mexico's version of the FBI millions in bribes as well. This official ultimately rose to become Mexico's secretary of public security. 3) Colombians first started working with El Chapo in the 1980s, after proving he could move drugs into America exponentially faster than his rivals. El Chapo's primary methods in the 1980s involved a 50 meter tunnel that popped up in Arizona. 4) After US law enforcement discovered the cartel's primary Arizona tunnel in 1990, Chapo switched to shipping drugs in jalapeno jars that were trucked across the border. They used authentic labels from a real jalapeno company. They also packed the jars with a custom-made gravel that sounded identical to jalapenos when shaken by a border agent. 5) Miguel Angel Martínez, a member of El Chapo's crew from the early days, testified that by the 1990s his job was to coordinate money shipments back to El Chapo from the US to Mexico. According to Miguel, the majority of drug cash was simply driven across the border in the beds of unassuming pickup trucks. Once the cash made it safely into Mexico, it was driven to Tijuana where it was loaded onto one of El Chapo's private jets. Each jet that took off from Tijuana to Mexico City contained an average of $10 million in cash. Once the cash landed in Mexico City, it would be stuffed into Samsonite suitcases then rolled into a Mexico City Bank every week for deposit. When the bank managers would ask if he was laundering money, as was required, Miguel would simply answer: "No. I'm exporting tomatoes". 6) The first time El Chapo was locked up in a Mexican prison, his associates paid $40,000 per month in bribes to prison officials. In return, guards allowed El Chapo to have a phone, a luxurious cell, better food, and, more importantly, regularly conjugal visits with his wives (he had five wives at the time) and other women. El Chapo escaped after giving a prison worker an unknown bribe to sneak him out with the laundry. 7) To store his hundreds of millions of drug cash, El Chapo built dozens of homes around Mexico. Each home was equipped with hydraulic systems that could lift beds from the floor to reveal hidden compartments under the floor. In at least one of the houses, the bed would lift to reveal a water tank. If you pumped the water out, you might find the special compartment at the bottom of the tank which hid a massive amount of cash. 8) At the peak of the organization's power, the Sinaloa Cartel was paying out $1 million in bribes EVERY MONTH to police officers, federal agents, politicians, customs agents and more.